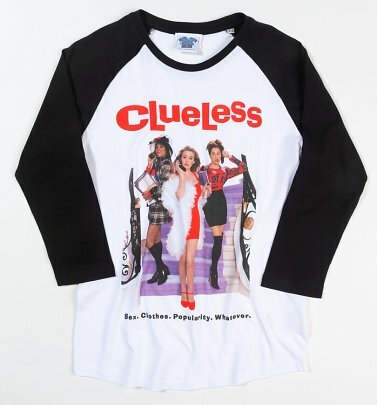 Like OMG, we can't believe how utterly bodacious these ladies Clueless T-Shirts are! One of the greatest chick flicks of the '90s, Clueless was a clever reshaping of Jane Austen's Emma, poking fun at teen films and the lives of the Beverly Hills glitterati. The perfect way to show your appreciation for Cher, Tai, Dionne and the Clueless gang, our exclusive Clueless T-Shirts, vests and sweaters feature classic quotes like 'Do you prefer fashion victim or ensembly challenged?' and 'You're a virgin who can't drive' - must-haves for anyone who grew up with the ultimate chick flick!